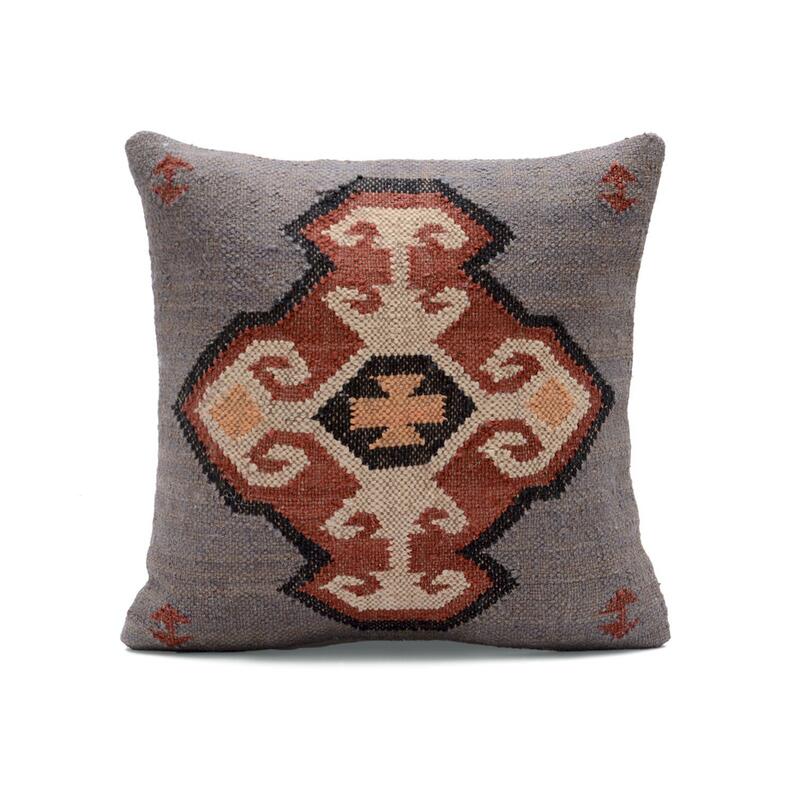 Kilim Cushion Cover Size: 16" x 16"
Featuring a beautiful kilim pattern this cushion cover will enhance the charm of your room and interior. 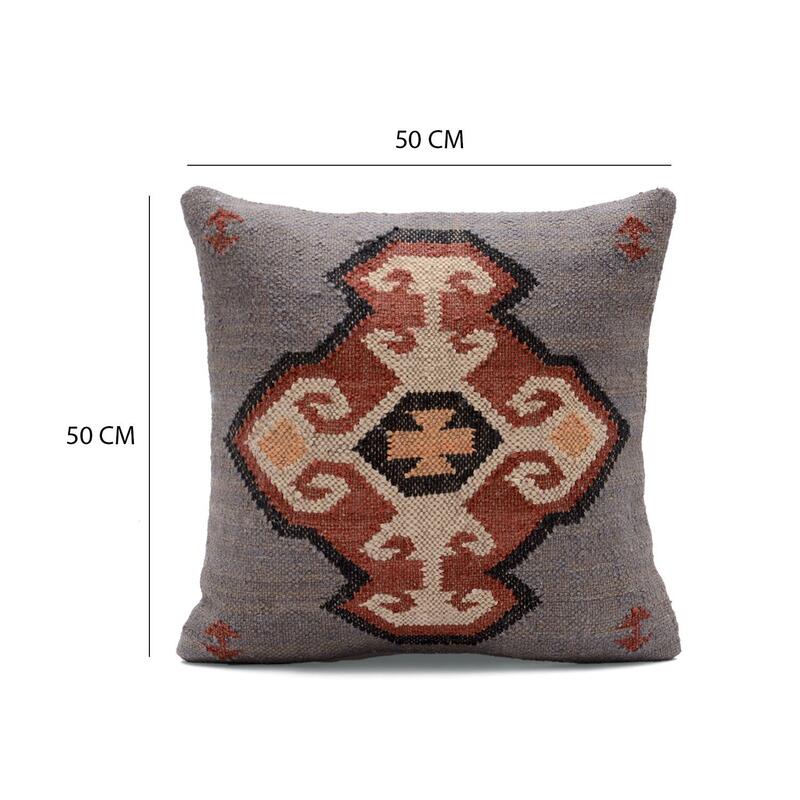 This cushion cover will add grace to your space with its fantastic design and beautiful color combination. 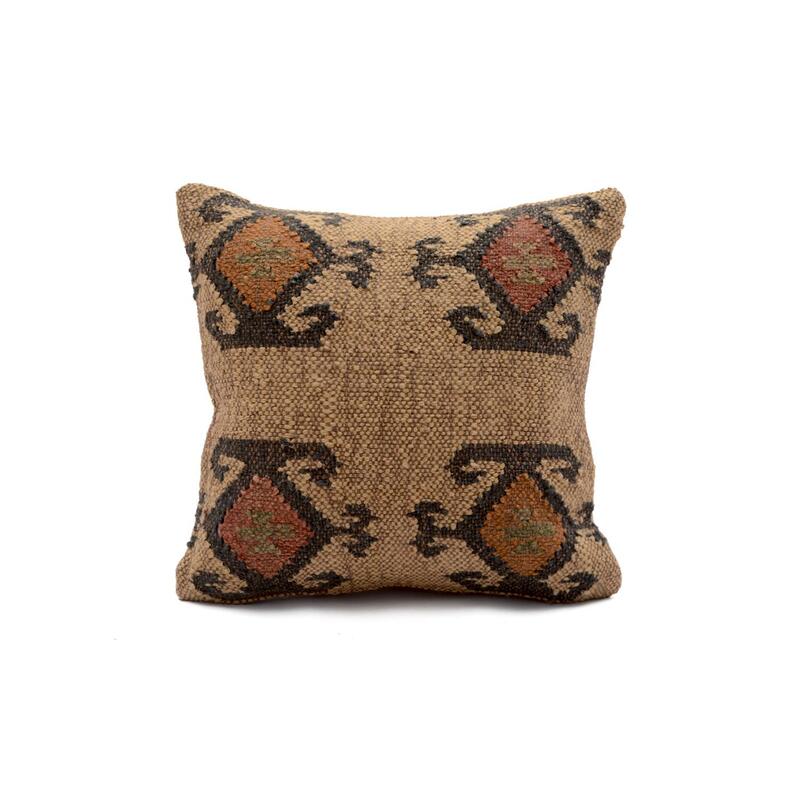 Kilim Design Cushion Cover Size: 16" x 16"
Add a traditional feel to your interiors with this kilim cushion cover. 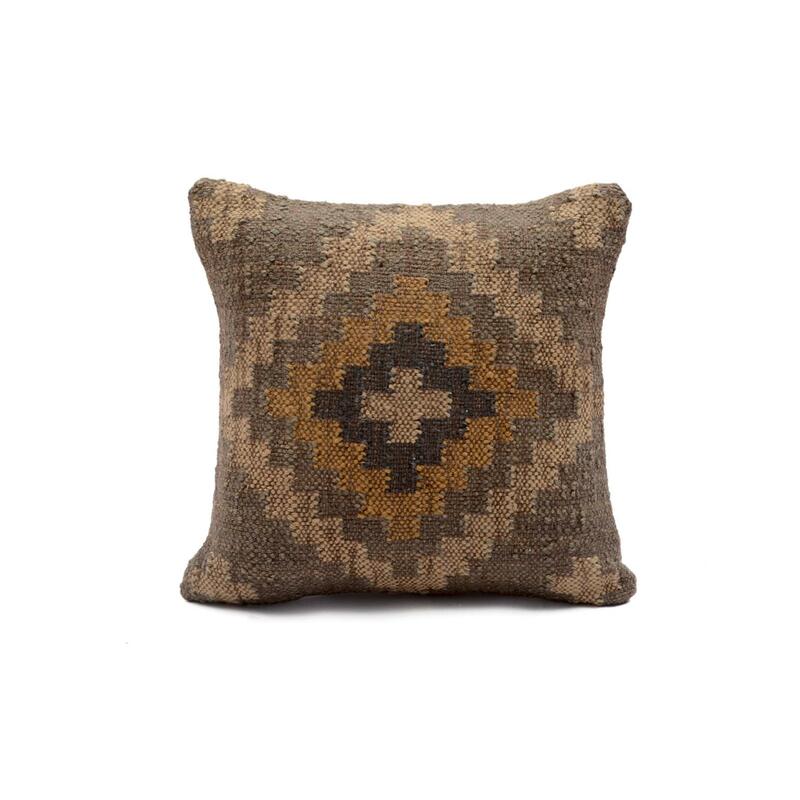 Crafted from jute, this cushion cover features beautiful kilim pattern, perfect for creating a subtle statement that is refined and elegant. 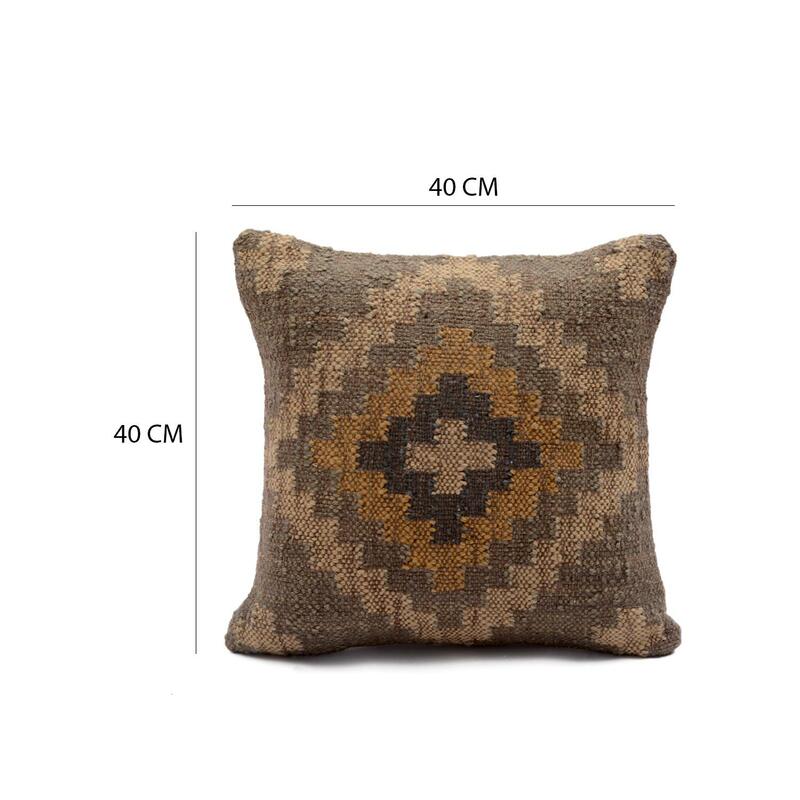 Kilim Pattern Cushion CoverSize: 20" x 20"
This Kilim design cushion cover suitable to decorate your living space. This cushion cover looks absolutely stunning on your chair or bed. 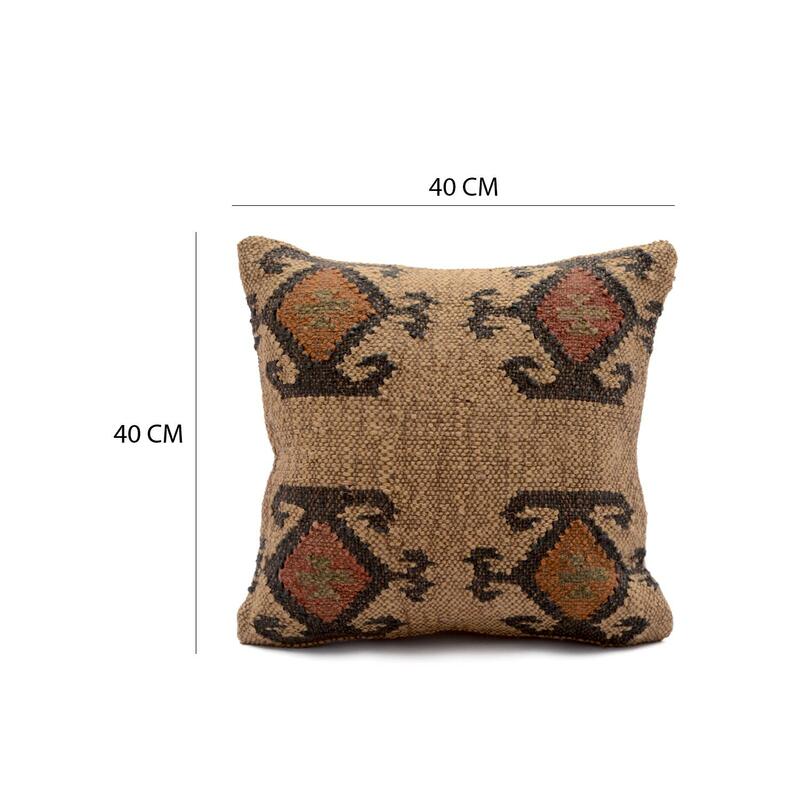 This jute cushion cover will fit into almost any style of room and adds a real visual element to your décor.